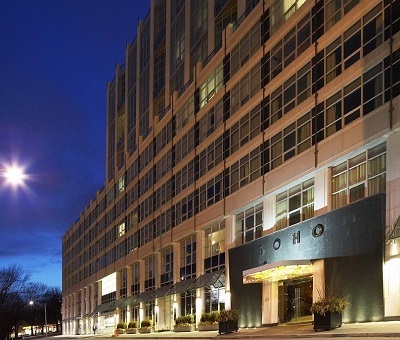 2018 Luxury SoHo Metropolitan Hotel in Toronto, Ontario, Canada! Bid Per Room and Choose Your Length of Stay! The SoHo Met’s sophisticated style is on full display in the lobby, whose pleasing décor incorporates marble, glass, polished wood, and a striking blown-glass sculpture by Dale Chihuly. 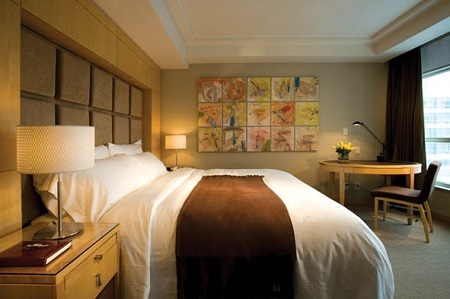 The hotel’s spacious guestrooms feature contemporary art and furnishings, large dressing rooms, and marble-lined bathrooms. Floor-to-ceiling windows offer spectacular views of the downtown cityscape. The SoHo Met also offers a health and fitness center with a lap pool and a gym; a staffed, well-equipped business center; and 4,000 square feet of event space, including an outdoor terrace next to meeting rooms. Toronto’s famed “Restaurant Row” lies just a block away, but guests don’t have to leave the SoHo Met to enjoy exceptional food. The hotel offers several dining spots, including the acclaimed restaurant Luckee, where celebrity chef Susur Lee delights diners with sophisticated Chinese cuisine. 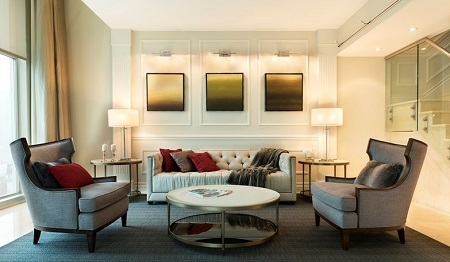 This chic luxury hotel enjoys an ideal downtown location in Toronto’s exciting theater, entertainment, and sports district. Guests can stroll to many top points of interest, including the CN Tower, Roy Thompson Hall (where the Toronto Symphony Orchestra performs), and the Metro Toronto Convention Centre. The hotel also lies in close proximity to the financial district, the fashion district, and the waterfront. 425 sq feet featuring 1 King or 1 Queen size bed, a full marble bathroom with heated floor. Close accessibility to the elevators.